BLOG HOP! The whats, whys, and hows of my writing! Recently, author Kelly Hand asked me to take part in a “blog hop.” She had already included an entry (which you can read here). Thanks for thinking of me Kelly! To be part of this shindig, I just need to answer the same questions as the other writers out there taking part in this hop. Cool! It’s like an international meet-and-greet for authors and readers. Everything but the little snack foods and punch bowl. Right now I am busy working on the editing of my novel Permanent Spring Showers, which is set for publication this October by 5 Prince Books. We are about halfway through the editing process now. I really love this book and I hope you will check it out when it is released. 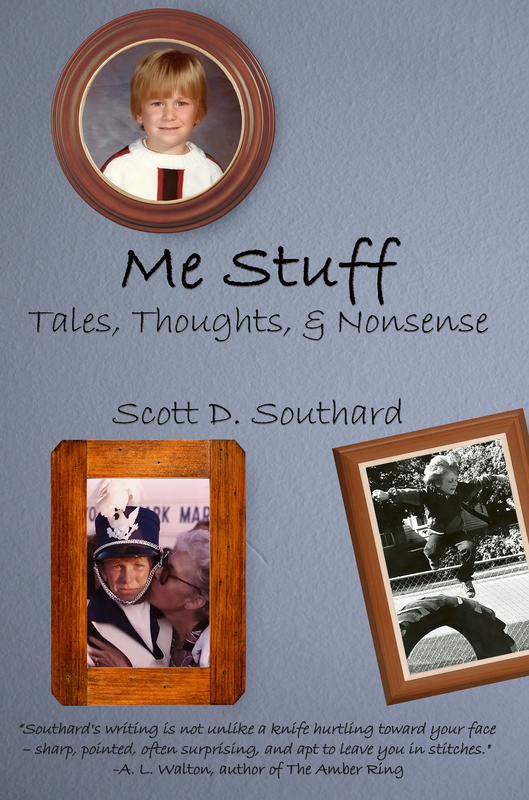 One of the side projects I have going on is I am publishing a book collecting some of my personal posts from my blog “The Musings & Artful Blunders of Scott D. Southard.” (Yeah, the site you are on now. )That book is called Me Stuff. Should be a lot of fun (at least I hope so). I plan to have it out sometime before the end of the month. I try to write two to three things a week on this blog; it’s really amusing for me and great practice since I can write whatever I want on the site. There are no limitations. Hopefully, the fact that there is such freedom and possibility, readers will return to it from time to time to check out what is going on with me. For me, it always feels like it is evolving. On the new fiction front I am kind of between a few things. I have a book called My Days as a Thief, which I consider the first part of a trilogy that I’ve been working on for almost a decade. The draft is done, I just got to get around to fine-tuning it. What is distracting that is this new novel idea I have. I’m writing it long hand which I think adds to the flavor of it, but will delay anyone seeing anything new from me for a bit. It kind of has a Douglas Adams, Wes Anderson, and Kurt Vonnegut vibe to it. I’m really having a lot of fun discovering it. Now and then I will dip a book into a genre, but usually it is so I can mess with it a little. 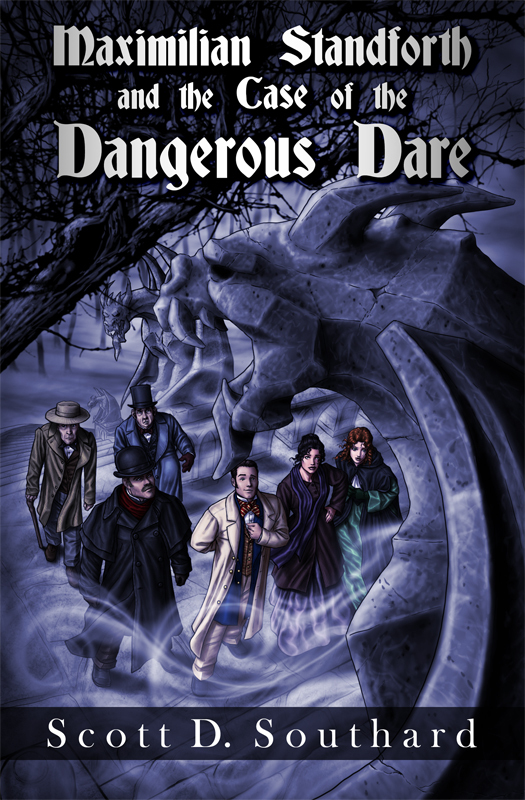 Two great examples of that are my “regency/historical romance” novel A Jane Austen Daydream and my “mystery/thriller” Maximilian Standforth and the Case of the Dangerous Dare. I won’t say how I challenged those genres, but the twists in it are what make them exciting for me. Some really dig that I do that in the books, others seem to get annoyed; I guess it comes down to how strict a person feels to the rules of a genre. Sadly, I had a happy childhood, also there are no addictions in my past. So my answer is a little more boring than other writers (seriously, if I am ever lucky enough to find success, a biographer would have nothing to say about me). Basically, I just love books. It’s why I do what I do. Heck, I even review books for my local NPR station (you can check out my reviews here). Some of my happiest memories growing up were the times I spent lost in a book. Sometimes relaxing on my parents’ couch or siting at a local park. While each of my books are very different from each other (and it could be argued, different from other books since I am so about finding the new twist and turn), there is one theme throughout all of them- a love of literature. Like I said, I just love books. I want readers to be surprised in my fiction, be drawn in, and emotionally react to my stories. I want to create an impact. For good or bad, I want the book to stick in your memory. One thing I have learned over the years is that each book is different. My novel Permanent Spring Showers was written in almost “real time,” with one chapter a week being shared on my site. That was a fun writing challenge and it really worked for that story and cast. I’m really lucky that it came all together as well as it did. For A Jane Austen Daydream, much of it was written in long hand, which (like I said) is part of the process around the new book I am thinking about. It really feels like, in the long run, if the idea is strong enough the book will tell me how it wants to be done. So maybe the trick really is turning off all of the noise and just focusing on the idea. Seeing what happens. 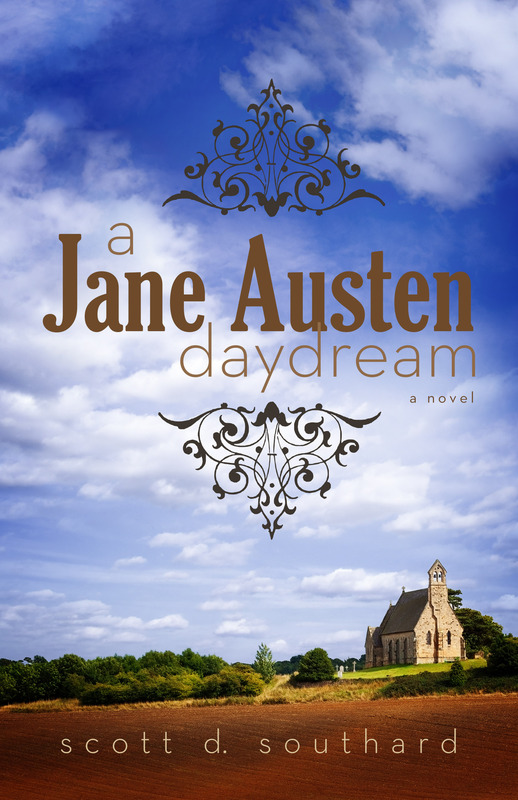 This entry was posted in Writing and tagged A Jane Austen Daydream, Author, Blog Hop, Blogger, Blogging, Fiction, Fiction wrtiting, Jane Austen, Kelly Hand, Life, Literature, Novel, Writing, Writing advice, Writing process by Scott D. Southard. Bookmark the permalink. It amazes me how prolific you are–and it’s especially admirable that all that blogging does not keep you from writing novels! I am with you on the genre issue and I think your flexibility is a valuable creative asset. 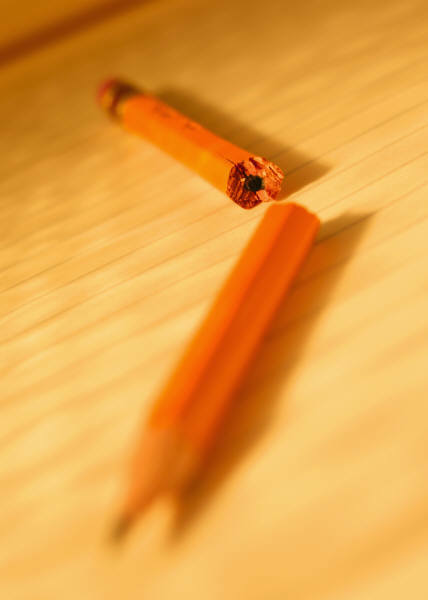 Keep on writing. It’s not always easy, that is for certain. When I was writing PSS, I was writing to about 1 AM almost every night. (I don’t want to do that again anytime soon). I usually work when my energy is there, with kids around it is more difficult to find, let me tell you. If anything, I wish I had more time to work on books. When I wrote my first book 3 Days In Rome (so very long ago), I remember scattering all of the chapters over my entire apartment floor and deciding the order and what I was going to cut or keep. The days of being eccentric with all of the time in the world is definitely gone. Having a blog is fun because in many ways I can test myself, and it is not something that I have to commit to for hours/days/weeks/months of my life like a book. If anything I feel more in touch with my capabilities (and weaknesses honestly) thanks to the blog. I loved doing this. It’s so much fun to read other writer’s methods. Great job!